MANILA, Philippines - The official results, list of passers, top examinees, performance of schools and other important announcements for March 2018 Licensure Exam for Teachers (LET) both for elementary and secondary levels are released by the Professional Regulation Commission (PRC) 40 working days after the board exams. 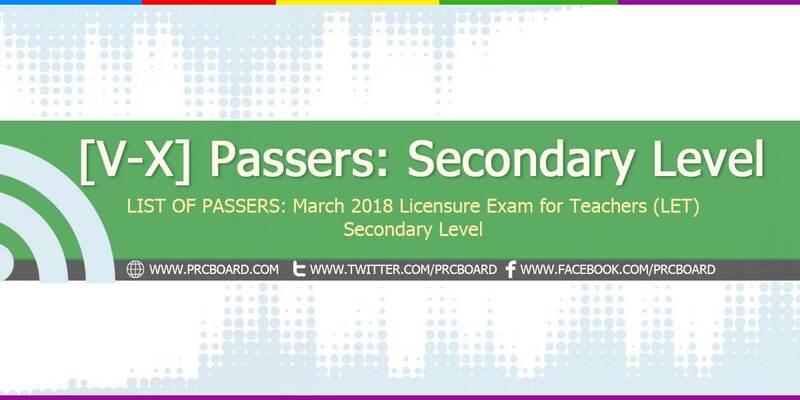 Below is the list of passers for March 2018 LET (Secondary Level) with surnames starting with letters V-X. For I will walk by Faith even when I cannot see. LPT IN JESUS NAME !!! IN JESUS NAME! Claim it! Claim it ! IN JESUS NAME!